New features, stunning visuals and an improved addictive gameplay for you in the next version of our brick-busting game! Even more action and fun! 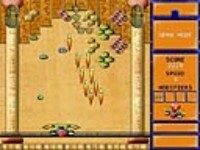 Mega Bounce 2 offers incredible dynamic action for all Breakout-lovers. The goal is simple - keep your ball in play for as long as possible, destroy bricks and rockets so that you can advance to the next round. If the ball goes out of range, you will lose a life and some score. 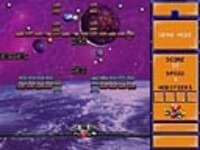 Collect power-ups and special items to achieve the highest possible score. New features, stunning visuals and an improved addictive gameplay for you in the next version of our brick-busting game. Even more action and fun! Try this unique brick-buster for FREE now. 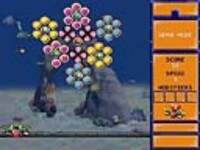 No age restrictions, the whole family will enjoy this game. 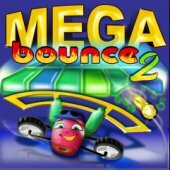 Tell someone about Mega Bounce 2 Game! hfadbF What as up, just wanted to tell you, I loved this post. It was practical. Keep on posting! VkXL1g Thank you for your blog post.Really looking forward to read more. Awesome. OECDv1 Very neat blog.Thanks Again. Much obliged. 2IIBDO I really like and appreciate your article.Thanks Again. Keep writing. 52J57K Hey, thanks for the blog article.Thanks Again. Awesome. k5ClRZ Hey, thanks for the post.Much thanks again. i40JiI Thanks-a-mundo for the article post.Much thanks again. Awesome. cQ6Eq0 Very neat article post.Really thank you! Much obliged. Otg216 Major thanks for the blog post.Thanks Again. Keep writing. II6jVc wow, awesome blog post.Really looking forward to read more. Awesome.